E-cigarette usage is growing in NZ and around the world but the scientific evidence-base regarding the benefits and risks of these types of products remains uncertain. The health-based policy experience is also minimal. In this blog post we outline some of the possible regulatory options around e-cigarettes (alternative nicotine delivery systems – ANDS) that the NZ Government could explore and that further NZ based research could help clarify. Globally the market for e-cigarettes or alternative nicotine delivery systems (ANDS) is highly dynamic and rapidly evolving (with numerous different product types (1) including non-electronic forms). Alongside dedicated independent producers of ANDS, the tobacco industry has been entering the market, creating two broad competing groups of manufacturers. One of the concerns expressed about regulation (e.g., making ANDS regulated as medicinal products) is that it will slow innovation in the market and may leave the field to the tobacco industry, who then may shape it to their benefit, rather than to the benefit of public health. The current status of ANDS in NZ parallels Australia and Canada (2): such products cannot be legally sold if they contain nicotine unless they meet regulatory standards for achieving a therapeutic purpose (i.e., as a pharmaceutical grade smoking cessation product as per Medsafe requirements (3)). Nevertheless, ANDS with nicotine and nicotine-containing ‘e-liquid’ can be imported for personal use in NZ. 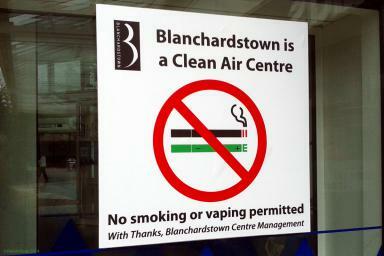 Shops can sell the ANDS devices and e-liquids not containing nicotine (but some appear to sell nicotine containing e-liquid as well, albeit illegally). At present, the extent of imports is unknown. Yet, the level of use by NZ youth suggests a considerable volume, with growth from 7% to 20% in ever-use of “electronic cigarettes” during the 2012-14 period (4). Increasingly, there are advertisements for ANDS in this country (e.g., a radio campaign by “NZ Vapor” in May 2015), some of which could have features that attract youth and non-smokers to ANDS (5). The published scientific literature on ANDS is now vast. For example, 128 review articles in PubMed when searching for relevant terms (review and ‘e-cigarette’/‘electronic cigarette’); and multiple systematic reviews exist e.g., since 2014: (6-11). Most recently the US Preventive Services Task Force concluded that there are not enough data on the effectiveness of electronic cigarettes to determine whether the devices can help smokers quit (12). The literature may also be influenced by authors with a “conflict of interest” e.g., for 34% of the 76 studies in one systematic review (7). But to summarise, it is probably reasonable to say that there is no scientific consensus on how the potential benefits of ANDS availability compares to the potential harms. That is, in terms of the potential benefit of reduced harm to people who use ANDS to quit smoking or who fully switch from tobacco products to less hazardous ANDS as a long term substitute vs the potential harms. The latter include: (i) being attractive to youth and curious non-smoking adults, and so potentially being a gateway to (or ‘back to’ for ex-smokers) tobacco smoking or at least to nicotine addiction; (ii) potentially “renormalising smoking behaviour” in general; (iii) potentially deterring dual users from quitting smoking; and (iv) ‘second hand’ exposure and nuisance impacts for others. Less directly, there is also the risk that discussions about ANDS regulation may give the tobacco industry a seat at the policy table where they could undermine tobacco control policy more generally. So in the face of such issues and uncertainties – is it possible to have additional smart regulations around ANDS in NZ? We provide a potential list of regulatory options for nicotine-containing ANDS in the table below. To inform this list we considered some of the recent literature on regulatory options for ANDS, including an expert survey (13), an ethical analysis (14), a NZ specific article (15), and other international work (1, 2, 16, 17). But we note that much of this literature is of limited value when considering ANDS in the context of a country: (i) which is an island nation with strong border controls; (ii) in which nicotine-containing ANDS cannot currently be legally sold (in contrast to many other jurisdictions considering regulatory frameworks where such ANDS are already widely available); and (iii) which has a smokefree nation goal. 1) To improve the current level of access to ANDS as a quitting aid or long-term nicotine maintenance product in those who cannot quit (i.e., assuming these are net benefits) Permit nicotine containing ANDS to be sold, but in a highly restricted and medicalised way e.g., only by pharmacies alongside pharmaceutical grade nicotine replacement therapy (NRT) products and with a range of quality standards and marketing standards. * This might require a change to the Smoke-free Environments (SFE) Act to permit such sales and to remove ANDS from Medsafe jurisdiction (as per fluoride when added to drinking water which is now specifically defined as not being a medicine and is therefore now clearly not under Medsafe jurisdiction (18)). At the same time the SFE Act could include tight marketing restrictions and restrictions on sales to minors for ANDS. If careful monitoring showed this approach to permitting access to ANDS not to be optimal for advancing public health and the smokefree nation 2025 goal, then it would be politically much easier to discontinue pharmacy sales than to manage product withdrawals from varied retailers (given that pharmacists are health professionals with ethical standards). This approach also has some overlap with the idea of restricting tobacco sales to only pharmacies as part of a tobacco endgame strategy (19). 2) As above for pharmacy only sales – but with even higher access standards (e.g., on prescription) As above, except with a requirement for a doctor’s prescription so as to maximise the benefit of ANDS being targeted to those wanting to quit or for those who have failed after multiple attempts and need to use ANDS as a nicotine maintenance product. Pharmacists selling ANDS could also be required to deliver brief cessation advice at the same time as selling ANDS; this approach could help to medicalise ANDS (as a quitting aid or maintenance treatment for chronic nicotine addiction). Tighter controls on marketing could mean that all marketing is banned, or limited to approved informational brochures attached to each package of ANDS products sold. meet the existing regulatory requirements under the Medicines Act – as outlined by Medsafe (3). meet the requirements under the new Psychoactive Substances Act (as suggested elsewhere (15)) but probably only after nicotine was included into the scope of this new (and untried) legislation. 4) Reduce potential harm and nuisance to others from vaping (and reduce normalisation of vaping) Amend the SFE Act to ensure that there is 100% consistency with restrictions on vaping (i.e., making it illegal to vape in any smokefree environments). Ideally, policymakers would take this opportunity to have a nationwide ban on smoking and vaping: in cars with children, within 10m of children’s playgrounds, in all stadiums, and on all sports fields etc. In contrast, use of a nicotine-containing metered dose inhaler might still be permitted in such environments (given that this would appear like a typical therapeutic inhaler in shape and function). 5) Encourage smokers to switch to ANDS through price mechanisms (i.e., assuming a net benefit from ANDS) Ensuring a large price gap between untaxed ANDS (GST only) sold by pharmacies relative to smoked tobacco sold elsewhere, could facilitate complete switching from smoked tobacco to ANDS, especially if the excise tax on the former keeps increasing. 6) To have very tight control on ANDS to minimise profit-driven risks – but still allowing some access in NZ (i.e., assuming a net benefit from ANDS) A government purchaser and distributor (Pharmac or even a new organisation) could purchase ANDS products internationally and then supply through government-owned settings e.g., public hospital pharmacies. The brand/s of ANDS supplied could be of the highest quality on the market and could meet all the other criteria detailed in options 1 to 3 above. By excluding the profit motive there would be less chance of any commercial interest undermining the public health goals around making ANDS available. 7) Fully minimise any risk of harm from ANDS to everyone (i.e., assuming no net benefit from ANDS) Maintain current NZ restrictions on the sales of ANDS and potentially enhance enforcement around illegal sales of nicotine cartridges and e-liquid. This option might be favoured by those who suspect that smart regulation of ANDS is too hard for the NZ political and policymaking system (see further comments below). But if illegal sales of ANDS became significant, the viability of this approach could be eroded. Also, although Pharmac is a long-term success story, given that the large savings appeal to both right and left of the political spectrum, other similar sized new government agencies might not survive changes in government. * Quality criteria for legal sales of ANDS at pharmacies could include: (i) possibly no added flavours (as these probably increase attractiveness to children) – though ideally such additives should also be banned in tobacco products; use of child-proof containers (as per New York State law (2)); prohibition of combustion in the ANDS; no or minimal contaminants; and an appropriate range of nicotine levels in the e-liquid. Regulations could require only “closed” ANDS devices to minimise do-it-yourself additions of tobacco plant juice or cannabis products (though there are complex pros and cons of such a restriction). All manufacturers would be required to have warning labels (e.g., that quitting smoking completely and then quitting ANDS is best for health), to give information on levels of all ingredients, and to not make unproven health claims. No cross-branding practices would be permitted (e.g., the use of tobacco industry logos on ANDS (16)) and marketing could be tightly regulated. Given the complexities of the ANDS issue, the authors of this blog have not collectively agreed on any most favoured option or even a list of favoured options. (Indeed, look out for comments following this joint blog post for any of our own separate extended analyses and recommendations). However, we all agree that it is logical for policymakers to carefully consider the pros and cons of all of the above regulatory options, especially in light of the Government’s Smokefree 2025 Goal. The best option should be informed by local and international research and careful monitoring of sales, use, product quality, and health effects. The “Smoking Toolkit Study” in the UK (21), is an example of a useful monitoring approach that has collected data on the use of ANDS. Furthermore, the best approach should ideally be implemented in tandem with enhanced tobacco control measures e.g., increasing tobacco taxes (22), restricting access to tobacco sales (23), and even reducing nicotine content in tobacco. Smart policymaking internationally seems very difficult when it comes to tobacco and nicotine. For example, NZ still does not have retail licensing of tobacco outlets; no operationalised controls on tobacco product ingredients (the sugar, menthol, rum and other flavours); still permits duty-free sales of tobacco; still permits smoking in cars with children; is not moving quickly on passing a law on standardised (plain) packaging (24); and the legal situation around smoking in the “outdoor” areas of hospitality settings remains highly problematic (e.g., see this NZ survey: (25)). Other product-related examples of regulatory deficiencies in NZ from a public health perspective include: permitting advertising of prescription medicines (26); the lack of virtually any controls on the sales of vitamins and supplements (though some legislation is pending for these products); the weak regulations around alcohol sales and marketing; and inadequate nutrition labelling of food (compared to state-of-the-art traffic light labelling). Some of the above tabulated options depend on the ability to develop and implement/enforce quality standards. Does NZ have the infrastructure to do this? If not, then it might be necessary to piggy-back on European Union or US Food and Drug Administration (FDA) standards or similar (which will come with its own set of problems). Some participants in the ANDS domain have commercial vested interests – tobacco companies that also own brands of ANDS, and ANDS companies that do not sell tobacco products. The tobacco industry is still very powerful in NZ and is historically opposed to virtually all effective public health measures (see this history (27)). Irresponsible advertising of ANDS in the USA is also well described (2). For these reasons, the tobacco industry should be entirely excluded from the policy development process around any further regulation of ANDS. There are many unknowns when it comes to ANDS and even potential hazards with reopening the regulatory toolkit in the NZ setting. Nevertheless, policymakers may wish to consider further the pros and cons of the above options. But all such policymaking needs to be done very carefully, given the genuine scientific uncertainties and the vested commercial interests involved. *Authors of this blog: Associate Professor Nick Wilson, Professor Richard Edwards, Professor Janet Hoek, Associate Professor George Thomson, Professor Tony Blakely, Frederieke Sanne van der Deen (PhD candidate), Dr Brent Caldwell, Professor Julian Crane, and Professor Chris Bullen. From: Auckland University (CB) and University of Otago (the others). Kaufman N, Mahoney M: E-cigarettes: policy options and legal issues amidst uncertainty. Journal of Law, Medicine & Ethics 2015, 43 Suppl 1:23-26. Lindblom E: Effectively regulating e-cigarettes and their advertising – and the First Amendment. Food and Drug Law Journal 2015, 70(1):57-94. Medsafe: Categorisation of electronic cigarettes. (Revised 5 November 2010). White J, Li J, Newcombe R, Walton D: Tripling use of electronic cigarettes among new zealand adolescents between 2012 and 2014. Journal of Adolescent Health 2015, 56(5):522-528. McRobbie H, Bullen C, Hartmann-Boyce J, Hajek P: Electronic cigarettes for smoking cessation and reduction. Cochrane Database of Systematic Reviews (Online) 2014, 12:CD010216. Pisinger C, Dossing M: A systematic review of health effects of electronic cigarettes. Prev Med 2014, 69:248-260.
Pepper JK, Brewer NT: Electronic nicotine delivery system (electronic cigarette) awareness, use, reactions and beliefs: a systematic review. Tob Control 2014, 23(5):375-384. Yang L, Rudy SF, Cheng JM, Durmowicz EL: Electronic cigarettes: incorporating human factors engineering into risk assessments. Tob Control 2014, 23 Suppl 2:ii47-53. Gualano MR, Passi S, Bert F, La Torre G, Scaioli G, Siliquini R: Electronic cigarettes: assessing the efficacy and the adverse effects through a systematic review of published studies. J Public Health (Oxf) 2014. Rahman MA, Hann N, Wilson A, Mnatzaganian G, Worrall-Carter L: E-cigarettes and smoking cessation: evidence from a systematic review and meta-analysis. PLoS One 2015, 10(3):e0122544. US Preventive Services Task Force: Tobacco smoking cessation in adults and pregnant women: behavioral and pharmacotherapy interventions [draft recommendation statement]. May 2015. Blaser J, Cornuz J: Experts’ consensus on use of electronic cigarettes: a Delphi survey from Switzerland. BMJ Open 2015, 5(4):e007197. Hall W, Gartner C, Forlini C: Ethical issues raised by a ban on the sale of electronic nicotine devices. Addiction 2015, [E-publication 5 April]. Hertogen A, Killeen A: The burning issue of combustible tobacco: The inconvenient truth. N Z Law Rev 2014, 2014(2):239-263. Lobb B: Vaping: Towards a regulatory framework for e-cigarettes. Report of the Standing Committee on Health. Canada: House of Commons, Chambre des Communes; 2015. Crowley RA, Health Public Policy Committee of the American College of Physicians: Electronic nicotine delivery systems: executive summary of a policy position paper from the american college of physicians. Annals of Internal Medicine 2015, 162(8):583-584. Medsafe: Proposed Amendments to Regulations under the Medicines Act 1981. Report of analysis of submission and final decisions. (2015). van der Deen FS, Pearson AL, Wilson N: Ending the sale of cigarettes at US pharmacies. JAMA 2014, 312(5):559. Laugesen M: Nicotine and toxicant yield ratings of electronic cigarette brands in New Zealand. N Z Med J 2015, 128(1411):77-82. Shahab L, Beard E, Brown J, West R: Prevalence of NRT use and associated nicotine intake in smokers, recent ex-smokers and longer-term ex-smokers. PLoS One 2014, 9(11):e113045. Cobiac LJ, Ikeda T, Nghiem N, Blakely T, Wilson N: Modelling the implications of regular increases in tobacco taxation in the tobacco endgame. Tob Control 2014, [E-publication 21 August]. Pearson AL, van der Deen FS, Wilson N, Cobiac L, Blakely T: Theoretical impacts of a range of major tobacco retail outlet reduction interventions: modelling results in a country with a smoke-free nation goal. Tob Control 2014, 24:e32-e38. Hoek J, Edwards R, Daube M: Standardised packaging: The time for implementation has come. N Z Med J (In press). Vega S, Wilson N, Thomson G: Survey of smoking areas at bars in central Wellington City: scope for further hazard reduction? N Z Med J 2013, 126(1387):187-190. Mintzes B: Advertising of prescription-only medicines to the public: does evidence of benefit counterbalance harm? Annual Review of Public Health 2012, 33:259-277. Thomson G, Wilson N: The Tobacco Industry in New Zealand : A Case Study of the Behaviour of Multinational Companies. Public Health Monograph Series. Wellington: University of Otago. 2002.